Home Divorce Process WHAT IS THE TRADITIONAL PROCESS FOR DIVORCE? WHAT IS THE TRADITIONAL PROCESS FOR DIVORCE? Litigation is a process where one or both parties (“litigants”) file a court complaint to give a judge the authority to resolve family disputes. The Judge is either appointed by the Governor or an elected official who, after hearing each point of view, makes a decision. If the hearing is for a limited portion of the dispute, then that hearing may result in what is referred to as a “temporary order.” While the hearing itself may only last for five minutes, the effects of the resulting order may be far reaching, determining such things as the amount of support to be paid, where the children will live, or even whether or not one litigant should be mandated to leave the home. Temporary orders often influence what a judge will ultimately issue as a final order. If the hearing or trial is scheduled for the entire matter, then both parties will have an opportunity to present their entire story or “case,” along with witnesses who may testify on a variety of matters such as the value of assets, the ability of a litigant to have custody of the children, or events that occurred during the marriage. Since the courts are typically understaffed and overbooked, many hours are frequently lost while litigants wait to be called. At any time during the wait for a hearing, a litigant has the right to pursue mediation or engage in settlement discussions. Litigation can be very expensive since many hours of preparation are required prior to a court hearing and family law attorneys are paid by the hour. Litigation is also stressful for the participants since the outcome is solely dependant upon the judge’s impressions gleaned from what is presented in a structured and often limited hearing. The judge’s picture of the relationship of the parties is obtained from a small lens, and the judgment or decision often fails to resolve problems to the satisfaction of both litigants. In fact, a good decision is often said to be one in which both parties are somewhat unhappy. A judge has wide discretion and unless a decision is found to be seriously flawed by legal standards, it is typically not appealable. And with appeals, the process only becomes more expensive and time consuming with limited promise of success. By litigating, parties grant a stranger the authority to make even the most basic decisions about their family. Frequently, a divorce will start with litigation but will end by way of a negotiated settlement, either with or without mediation. 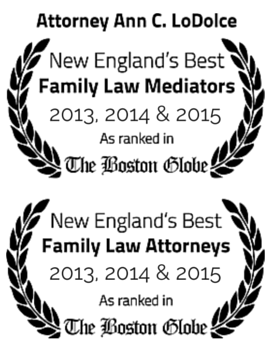 Few family law disputes are resolved by a full trial. However, even when a judge enters only one or two temporary orders prior to a matter settling, such orders have the ability to significantly limit the final outcome. Retaining control over the process from start to finish through alternative dispute resolution is optimal. Of course, in a case where the parties refuse to agree, litigation must continue to be available and there are those situations, where there is abuse for example, when litigation remains the only option. Why is a truthful financial statement to your advantage?What does a visitation schedule look like?